Are you looking for limo service for a special occasion or party & event in Toronto area? 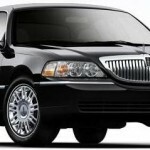 Looking for the best and most reliable limo service in Toronto? Call us to hire professional & reliable Toronto limo service in the Greater Toronto Area. Choose for sedan Lincoln Town Cars, Executive sedans, full-size SUVs, Large Vans and stretch limousines. Visit our fleet gallery page to see fleet images.